The first four that Virat Kohli hit in the semifinal against Bangladesh was off the 15th ball he faced — a straight bat punch down the ground off Mustafizur Rahman. An over later, Fizz continued to test him in his area of most pronounced weakness, with deliveries slanting across the right hander and moving away outside off. Kohli responded with a forward press, back leg bent, head over the ball in a cover drive that was marked by the trademark snap of the wrists into the shot. And to the next ball, on a similar line, he repeated the shot – only, better. That is how you know that the Indian captain is in rude batting health – when he strokes fluidly on the off early in his innings. Given his now-notorious weakness early in an innings to the ball on fourth/fifth stump lines, Kohli counters by going across his stumps, getting closer to the ball, and working off to leg. He does this till he has begun sighting the ball well; it is only well into his innings that he plays off-to-off. Allied to that return to form is a laser focus on the big picture. Again, the semifinal is instructive: At the end of 38 overs, India needed 16 runs to win, and Kohli needed 17 to complete what would have been a 15th century in a successful chase. With a comfortable win looming and 12 overs to space, the commentary team turned its attention to the various permutations and combinations that would allow the Indian captain to get to that landmark – all of which involved his partner Rohit Sharma dead-batting everything from then on. Kohli calmly took a single, acknowledged his 8000-run mark in ODIs with a shrug and a half-hearted thumbs-up, and settled back down to milking singles in the next over, running as hard for his partner’s as he did for his own while showing no interest in the possible landmark. Kohli has 253 runs in the tournament thus far off 252 deliveries and has been dismissed just once – a fifth ball duck against Sri Lanka when he nicked off to a ball in the channel. But it is fair to say that in his round-robin knocks against Pakistan and South Africa, he has been under par by his own high standards. Which is why the knock against Bangladesh in the semis stands out; its style and authority evoking memories of the 82 not out off 51 he played against Australia in the quarters of the World T20 a year ago to universal acclaim. Kohli’s batting form is the key to India’s fortunes in this final precisely because he is the bridge between a pair of in-form openers, Rohit (304) and Shikhar Dhawan (317) who have accumulated 621 runs between them, and a middle order featuring two ageing stars in Yuvraj Singh and MS Dhoni plus two batsmen, Hardik Pandya and Kedar Jadhav, whose potential is yet to be tested under serious fire. The form and firepower of India’s top three, celebrated here by Cricinfo’s S Rajesh, are a large part of the reason India has progressed serenely to their fourth final appearance in the Champions’ Trophy and is favored to win their third title, to go with the one farcically shared with Sri Lanka in 2002 and convincingly won in 2013. But unlike with Indian teams of the past, this one of 2017 does not put all their chips on batting – a slow evolution through the Ganguly and Dhoni years has been accelerated under Kohli to where this team is equally strong in all three disciplines – with the ball, in the field, and with the bat. 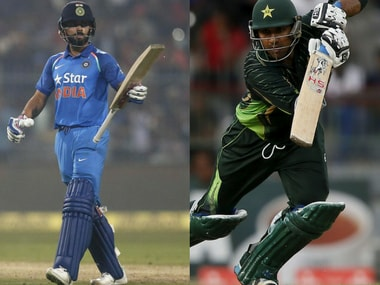 Of these three, it is the fielding that is relatively unsung but which holds the real key to India’s fortunes as they gun for an eighth straight win against Pakistan in ICC events. Thanks to Bhuvaneshwar Kumar and Jasprit Bumrah, plus a combination of Umesh Yadav and/or Pandya, Indian bowlers have bossed the opening power plays, pried out wickets regularly in the key middle overs and returned to lord it over the death overs. Their bowling has been given teeth by a gun fielding unit with almost no exploitable weakness, led by a captain who refuses to accept anything less than 100 percent. This was most noticeable in the game against Bangladesh. When Rohit, India’s preferred cover fielder, was a bit slow to the ball in the early overs and permitted a single where there was none, he received an on-field volley from his captain laced with the usual incestuous suggestions, And later, when Ravichandran Ashwin – the only below par fielder in India’s eleven – fluffed a catch at fine leg, he spent the next few minutes sedulously avoiding the eye of his furious captain. Allied to the high fielding standards is an aggressive approach that sees India, more often than not, place more fielders within the ring than they are mandated to. Where earlier “They won’t mind the singles” used to be the mindset for Indian teams and mantra for commentators, we now have a total attitudinal shift, to where the team sees every single taken against them as a personal insult. 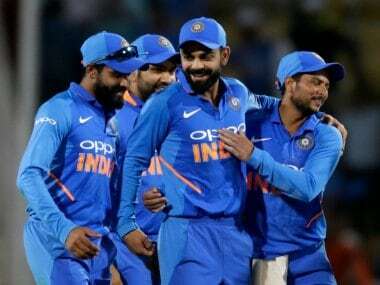 This has resulted in bowlers being able to maintain sustained pressure; the four games India has played in this tournament are studded with examples of the side using the sustained pressure of dot balls to force fatal errors. This is particularly noticeable in the middle overs, which is where batting sides look to knock the ball around for easy singles to keep the board ticking over. 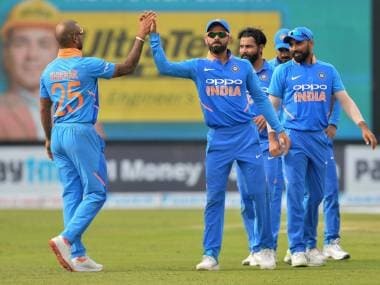 With India packing the ring even during this phase and leaving skin on the ground as they dive about for everything, the singles dry up, pressure mounts and wickets tumble – Indian bowlers have taken 19 wickets in overs 11-40, one more than Pakistan in this phase and far ahead of any other team in the competition. The importance of the Indian fielding effort is underlined when you consider that for all its success, the Indian bowling still has a relatively unsettled look to it. Bhuvaneshwar and Bumrah have excelled throughout, but Pandya has had good days and bad, as has Yadav. Ashwin has looked a touch undercooked since his return after a long layoff, and early word from the Oval is that he is a chance to miss the final with a thigh injury. If Ashwin sits out, it puts pressure on Ravindra Jadeja, who is always more effective when he bowls in tandem with the off-spinner – together, the two rush through their overs, hustling the opposition, allowing them no time to think, to regroup. Jadav was the surprise package in the game against Bangladesh, but he is not the sort of bowler you rely on to bowl full quotas every game. And Mohammad Shami is yet to bowl a ball in anger throughout this tournament, making it highly unlikely that India will punt with him in the final. It all boils down, then, to a match-up between the finest batting side in the tournament versus the best bowling side. The numbers reinforce this: With the bat, India averages 91.5 with a 6.23 RPO rate, versus Pakistan’s average of 35 at 5.15. And with the ball, India averages 32.44 with an economy rate of 5.32 versus Pakistan’s average of 31.77 and economy of 4.99. The toss is the joker in the pack. Sarfaraz Ahmad has shown a marked propensity for chasing, which is fair since it looks to play to Pakistan’s obvious bowling strength; India for its part has looked far more comfortable chasing a target rather than setting one, when their conservative play in the opening and middle overs and over-reliance on an end-overs explosion ends up causing the team to leave handfuls of runs out there on the wicket. After all the analysis, though, it all boils down to which side brings it’s A game to the park on the day, and holds its nerve longer. 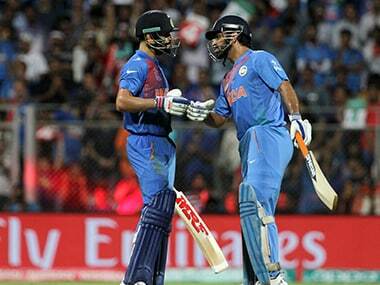 The heart says India will win; for once, the head is in complete sync.